The second Test will be played at Cape Town from Jan 3 to 7 next year, while the third and final match is in Johannesburg from Jan 11 to 15. 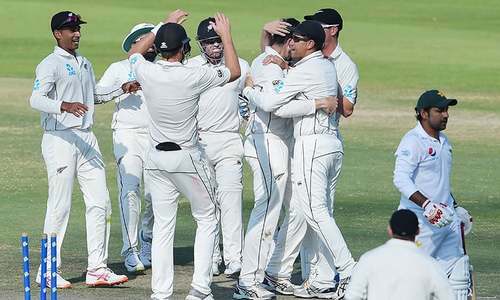 He missed Pakistan's two-match Test series against Australia and then three Tests against New Zealand — both in UAE — but chief selector Inzamam-ul-Haq believes the left-armer has regained his form in domestic matches. Masood, who played the most recent of his 12 Tests in Oct last year, was also brought back after recent good form, scoring twin hundreds in a four-day match against New Zealand 'A' two months ago. Will lose all the test and Odis and t20. Pakistan under these batsmen will and can never win. Once again, talented Fawad Alam is not considered in the greenshirts squad for the upcoming rough and tough 2018-19 tour of South Africa. Furthermore, Imam-ul-Haq, who miserable failed against New Zealand on the docile and dead wickets of U.A.E. is included in the squad as an opening batsman to face one of the best pace bowling attack of the world on the fast and bouncy wickets of South Africa, for the one and the only reason that he is the nephew of the chief selector. Height of nepotism, unilaterism, eccentricity and shamelessness shown by the inept, cruel, inefficient and self-centered PCB selection committee. A good decision of PCB. Aamir deserves a chance to comeback and prove his worth. @Ali, the batting against NZ in tests was atrocious., including Sarfaraz. No meaningful contribution with the bat, poor captaincy by delaying taking of the second new ball are the main reasons for the loss of third test against NZ. Does Inzi have the courage to drop Sarfraz ? With this pathetic batting show, bowling advantage won't help always. Till we keep running with nepotism (Imam's inclusion despite worst ever performance in tests) winning in South Africa would only be a dream. @nazar naqvi, on what basis is he going? amir cant get wickets in Dubai or Sharjah, and relies on other bowlers from the other end on bouncy and green wickets, to build pressure. On what basis is he included? Junaid Khan is a hundred times better, as is Imran Khan junior and more recently Mir Hamza. Why are these brilliant bowlers being excluded? I feel sorry for Abid Ali, who has been scoring heavily for Pakistan A and in the domestic league too, but unluckily is not a nephew of any board official. @MNKhan, Mir Hamza and Shaheen both deserve a place in the bowling line up. Mir Hamza also bats but in bowling, Shaheen is a gem of a find. I don't know what the basis of this pathetic decision to include amir is, but it is a joke. Feel sorry for some of these guys. 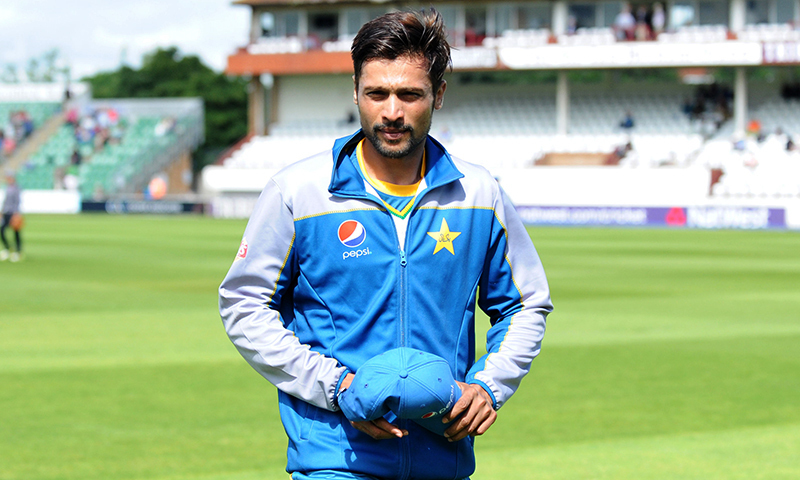 Amir is a special talent and a potential match winner. Why was he not in the team against Newzeland? Why no Junaid and no Mir Hamza? Imagine these three as the main bowlers, wow. Yet they take tried and failed amir. @Dr. Salaria, Aamir Ahmad, Fawad Alam will never be considered as long as Inzimam and Ramiz Raja has some influence in selection. Imam-ul-Haq is again considered despite scoring 73 runs in three tests against N, while Lahore opened Abid Ali who scored heavily in domestic cricket is ignored. It's a disgrace to call Sarfaraz Ahmed a batsman. Wow Imam selected again! Mediocre at best but he is related to chief selector so I guess that’s his resume. The other domestic openers must feel hopeless. If players like him are in the squad expect an early exit from WC 2019 also. The key news is: "Inzamam's nephew Imam-ul-Haq gets another chance despite scoring a mere 73 runs in three Tests against New Zealand." 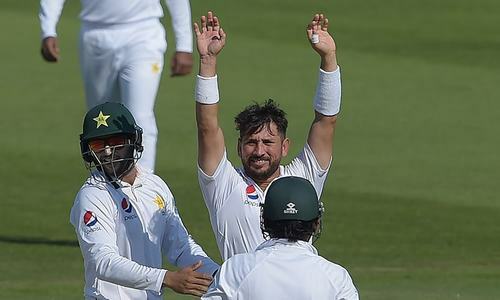 Pakistan cricket is a world class example of topsy-turvy play. While they lost the first test as a give away gift victory of just 4 runs, second test was an over whelming innings' victory and third test was even worse than the first where a 74 run 1st innings' lead was wasted into a 123 run losing in a miserable way. I agree with this decision, however, PCB needs to talk to Amir and make sure he needs to perform. In the past he has stated he is not a machine, well if you are not performing (taking wickets) then you cannot be in the team and make such statements. No doubt you are talented but please stay humble and grounded. Shan Masood has repeatedly failed but still gets selected. A better replacement would be Fawad Alam who is not only a left hander but a reliable all-rounder. 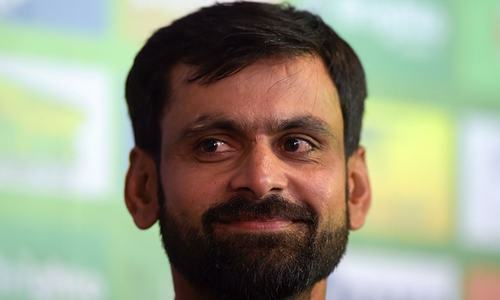 This corrupt, favored, nepotism, in selection for Chacha Bhattija collaboration, they deserved to lost the series, Inzamamul Haq using his nephew, and not selecting a qualified, deserving FAWAD ALAM, why bcs Inzi feel insecure to work with qualified selection committee members, Tousif /Hyder/Wasti ? does they have T20, ODI or sufficient test cricket, these 3 are puppet to Inzi, their salaries are high Inzi taking Rs.12 Lacs, plus other benefits, he only deserve Rs.2 lacs p/month similar his puppet getting Rs.3/4 lacs they should paid Rs.50,000 p/m. This is not free money. Inzi +his selectors should be fired immediately. To get equal share of other province not nephew, Also let me tell you that Aamir is not worth for Pak team, he is not an assets, a debt, and unable to perform. Imam is failed, and purchi and Sifarsi player nephew is not acceptable, inefficient selection committee, trusting Aamir ? Sooner or later we have and need new selection committee, this puppet should be fired. Aamir +Imam what their progress, I doubt their S.Africa tour they have difficult to win ????? What basis did you select Imam again? Even Shan mAsood has been tried and tested so many times.. poor selection. Shaheen should be left to play limited overs for a while before taking him to test matches. I don’t know why selectors keep ignoring Ahmad Shahazad and Umar Akmal. If you don’t have a decent replacement of them than we rather have them in side. Sarfaraz should be dropped from test side at least along with Imam. Shan MAsood is waste of space. Inzamam is favouring Imam ul Haq in place of Fawad Alam again because he knows that if Fawad Alam gets selected then Imam's place will be in jeopardy. Sarfraz should be dropped let alone be allowed to skip the side..
Safaraz either needs to step up his game or step down, right from Asia cup the vulnerabilities of the team are getting exposed. Imam needs to go, though he is a good batsman but that blow to his head has destroyed his confidence. If he does not perform in south Africa ( which is likely the case) his career will end there. Let him play the domestic games to regain the confidence but unfortunately his uncle will keep him the team and which will eventually destroy his career. Amir is the future of Pak cricket. He may be going through a lean phase but remember form is temporary class is permanent. In the World Cup, if Pak has to win, Amir must perform. What is Fawad Alam ignored again and again. He deserve a chance. This selection committee and especially Inzimamulhaq should be sent home asap. They are not doing a good job. @Bharat, I totally agree. Amir is a gifted bowler. What will be the fate of all those four five players who were in the team against New Zealand but did not played in the concluding series. Were they not selected on Merit?